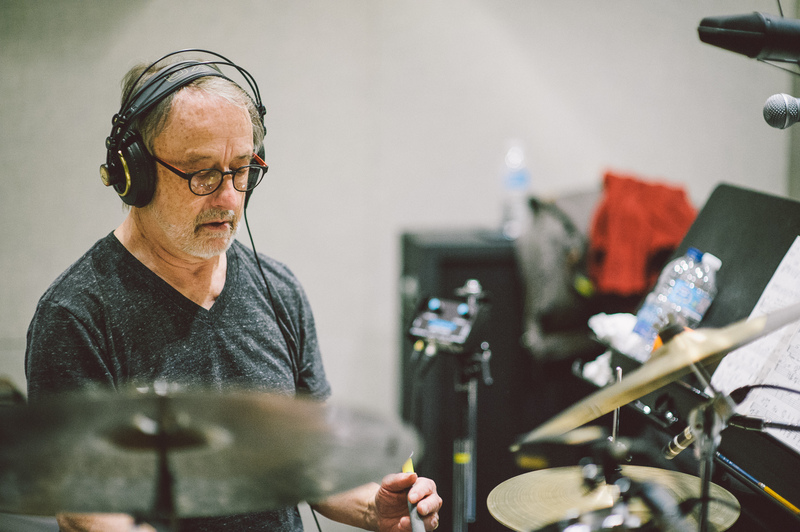 Terry Clarke recording drums for Carol McCartney’s album ‘Be Cool’. Photo by Mark Kostel used with permission courtesy Kostel Photography, http://www.kostelphoto.com. I don’t want to preemptively alarm anyone over the end of summer, but I’d like to bring your attention to your plans this Halloween. After you’ve picked through the candy bowl for your favourites and handed out the rest to the costumed supplicants at your door, I suggest you get yourself down to the Pearl Company. Because on October 31st we are very pleased to be featuring Order of Canada member and Juno Award-winning drummer Terry Clarke alongside our Artist-in-Residence Adrean Farrugia and bassist Neil Swainson for what is sure to be one of the most exciting performances of the year. This one is not to be missed! Hopefully this small sampler has started to get you as excited for this show as I am. We are lucky to have Terry play at this year’s festival, but luck is only partly to do with it. Without the support of our sponsors this show quite simply would not be possible. So an extra special thanks goes out Smordin Law, the Ontario Arts Council, NLP Canada Training and Merriam Music for supporting the Steel City Jazz Festival! You’ll be hearing more from us about our amazing sponsors in the weeks to come, but for now show your thanks by heading over to the ‘Sponsors’ section and giving one of the links a click, just to check out the work that they do. I can say without hyperbole that the 2015 Steel City Jazz Festival will be the best yet, and that is absolutely because of the support provided by these sponsors. See you on on Halloween! Next Next post: 2015 Lineup and Schedule Available Now!